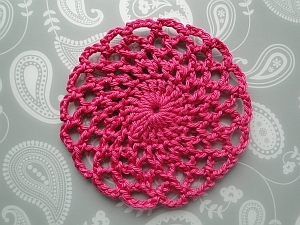 My free crochet coaster patterns have been great fun to design! 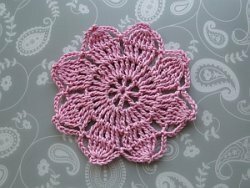 I hope you have fun crocheting them. 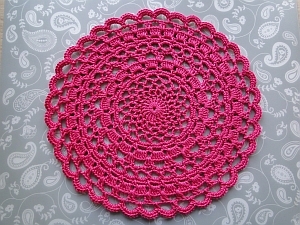 Three sizes of repeated stitches make this striking doily, which also looks very attractive worked in one color for the body and a different color for the last couple of rounds. 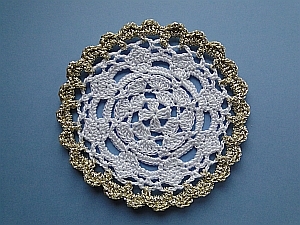 Here's a right royal coaster to crochet, worked with either a gold edging or without, in one color or many, quite customizable! 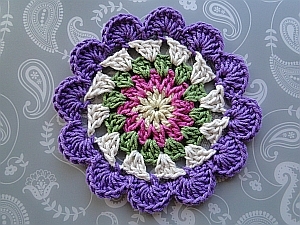 ... or same yarn, different colors! 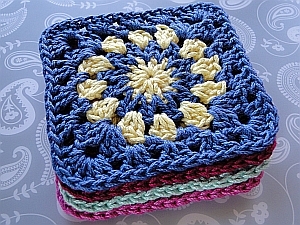 Two rounds worked in one color for the center square, then six rounds in another color for the X shape and edging, this makes a pretty and original little mat! 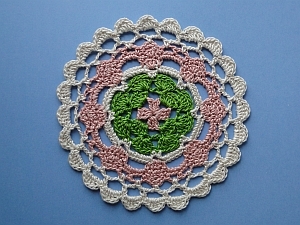 A five-rounder, worked in two colors - or more, if you like! 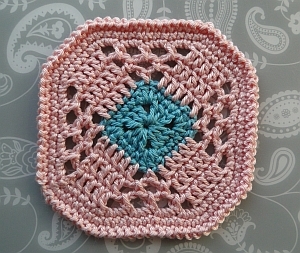 It's fairly quick to whip up, and if you need to make it a little bigger, I show you how to add rounds to make the Cosmic Crochet Square - choose from a plain or a lacy edge! 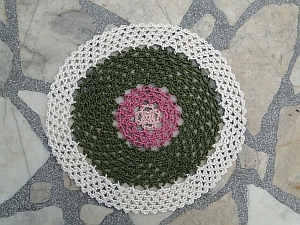 Six rounds worked in sports-weight yarn here, and the first three rounds are exactly the same as the original Crochet Coaster above! Five rounds starting with a magic ring and ending with chain loops. 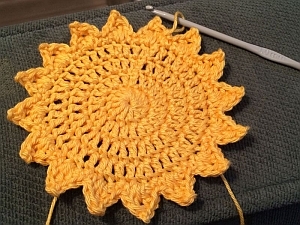 Quick and easy to work, you won't want to stop. 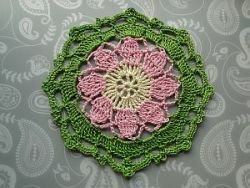 And you don't have to - because you can carry on and create the doily below! 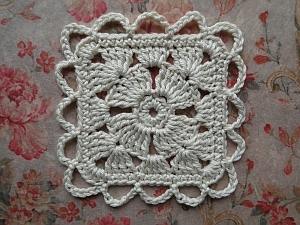 Here are some more free patterns on the site which you might like to use to make coasters or mats for jugs or teapots. 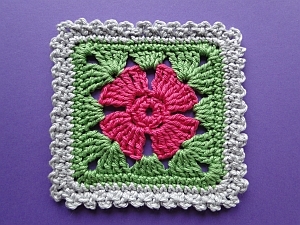 The loopy-edged, 4 Petal Flower Square!